No, I haven’t gone over to the dark side. But I did recently publish a vegetarian barbecue book — in French in Quebec, where believe it or not, I have a French language TV show on barbecuing and grilling called Le Maitre du Grill. 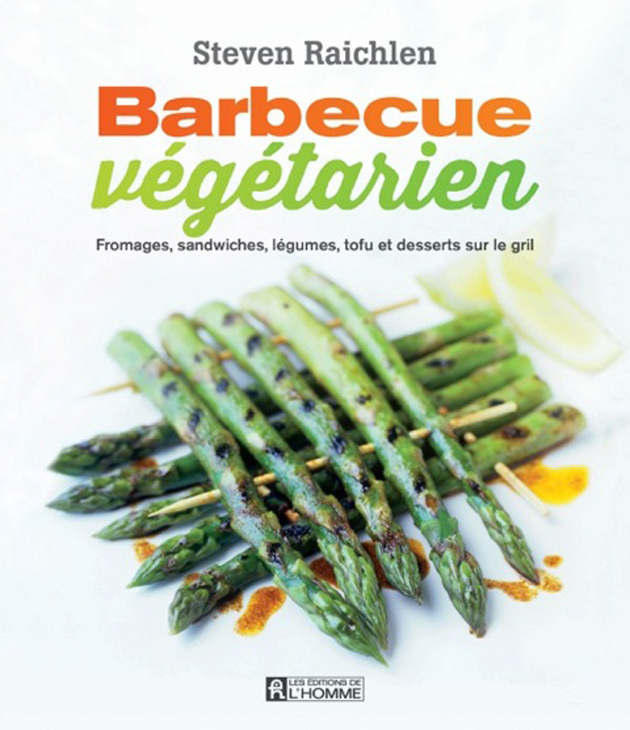 The book may be for the French-speaking visitors to BarbecueBible.com, but vegetarian grilling is for all of us. According to a recent New York Times story, while only 5 percent of Americans embrace a vegetarian diet full time, 30 percent of us are trying to eat more plant based foods and less meat. Hence the popularity of Meatless Monday (practiced faithfully by our dietician daughter and often by her parents). But even if you’re a rabid carnivore, there’s no better way to cook the vegetables accompanying your T-bone than on over the high dry heat of the grill or in a smoker. Grilled asparagus (brushed with soy sauce and sesame oil); ember-roasted onions, and barbecued baked potatoes are just three reasons why everyone should try vegetarian grilling sometime. In April, I went on tour in Montreal and Quebec City to promote the new book. Here I am on the set of the sizzling new TV show Cap Sur L’Ete (Full Steam Ahead Summer). Here I am on the set of Salut Bonjour in Quebec City- – about to prepare grilled corn and a new caprese (dried tomato, smoked cheese, and basil) panini — both recipes in my book Indoor Grilling (Workman Publishing).